We are happy to be a part of the Bethany LeTip Chapter where their motto is “Helping Portland Business do More Business.” For more information, go to http://www.letipofbethany.com. Bethany Family Dental, your Family Dental Care Portland is conveniently located at 4732 NW Bethany Blvd., Ste. G2 in Portland, Oregon, north of Highway 26 and just minutes away from downtown Portland and the greater Beaverton/Hillsboro communities. 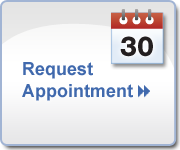 For specific directions from your home or place of business, call Bethany Family Dental at 503-617-7384. We look forward to seeing you!